“Why are judges not transferred despite collegium’s recommendation ? you must have plausible explanations… why are you sitting on it ..the files cannot languish..it has been ten months now..you have to take a decision. What is happening? ?”, Chief Justice T S Thakur told Attorney General Mukul Rohatgi. On his retirement eve, Chief Justice T S Thakur today once again pulled up the Centre on the contentious issue of judges appointment and transfer. This was after 1971 war veteran Lieutenant Colonel Anil Kabotra and Ram Jethmalani who was representing the Gujarat Bar reminded that despite the order of the collegium way back in February this year, several judges of the High Court and Chief Justices have not been transferred. “Why are judges not transferred despite collegium’s recommendation ? you must have plausible explanations… why are you sitting on it ..the files cannot languish..it has been ten months now..you have to take a decision. What is happening ? ?”, Chief Justice T S Thakur told Attorney General Mukul Rohatgi. When Rohatgi repeatedly said “I will take instructions”, an angry Jethmalani said “What a situation has come about where the attorney has to go around taking instructions whiel the government should have properly briefed him ahead of the court hearing. 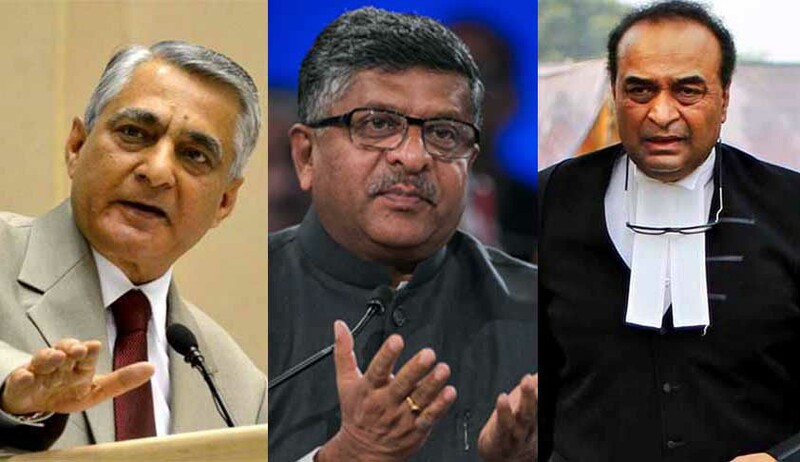 Standing by its decision to refer back for reconsideration to supreme court the names of 43 candidates for appointment as judges in high courts, the Centre has said in the parliament that the decision was based on “adverse intelligence reports and serious nature of complaints” against them. Minister of state for law PP Chaudhary had told the Rajya Sabha in a written reply: "The major reasons for referring back 43recomendees to the Supreme Court collegium on the appointment of judges are views of consultee judges, views of constitutional authorities, adverse intelligence bureau inputs, serious nature of complaints received against recommendees. Out of the 43 names returned to it by the government for reconsideration, the Supreme Court collegium has reiterated its recommendation for 37, deferred three proposals while three other names are still with it”. Appearing for Centre Attorney General Mukul Rohatgi said out of 77 names recommended by collegium, 43 names have been sent back for reconsideration. After the AG submitted a list regarding the appointments, CJI Thakur had perused it and said the collegium will meet on November 15 and a detailed order will be passed later in open court. "In Allahabad, out of a sanctioned strength of 165 there are only 77 judges. In Karnataka High Court, an entire floor of courts are locked because there are no judges. Once we had a situation where we had judges but no court rooms. But now there are courtrooms but no judges. You may now as well close court rooms down and lock justice out. You can have the institution called the judiciary locked”, an angry CJI had told Rohatgi who represented the centre while hearing the PIL filed by Kabotra and lawyer Ashwini Upadhyaya on the issue.